This above-mentioned quote by Maya Angelou holds good for all of us, isn’t it? We all ache to be at home and to have a place which we can call our own. After a certain point of time in life, we all wish to buy the home of our dreams. Buying a house, however, is a very crucial decision to make. It needs a lot of planning, both financial and mental, and it also needs a person to be well-aware of the current market trends. It needs a good amount of research and only then, the process of buying a house can be a fruitful one. As per its name, it’s a multi-floor building which can go beyond 4-5 floors. For many industry experts, a building with more than five floors and multiple dwellers in each of them can be termed as multi-storey apartments. In these apartments, all the residents can enjoy common amenities and facilities. Also, all of these apartments have lifts. This comprises a single room with a combined bedroom, living area, kitchen and washroom. All of these are available in a single space. This type of living space came into existence after the conceptualisation of saving cost and area while making a house. Such apartments are usually available within 500 – 600 sq. ft. and are mostly used by a single occupant or a couple. Generally, services apartments are used for various commercial purposes. These usually have one or maximum two rooms with the utilities required for a residential property. These are quite easily available and mostly searched by the office owners who wish to have an office space in a residential area. For the one who wish for an airy, secretive home usually buys a penthouse. These are constructed on the top floors of various multi-storey buildings and are also quite expensive. Hence, in order to buy a penthouse, one has to have a good amount of savings. The prices of the penthouses are always more than that of the other apartments in the building. These are the most common housing types available these days. Each and every well-known builder in India is coming up with lucrative integrated township options. 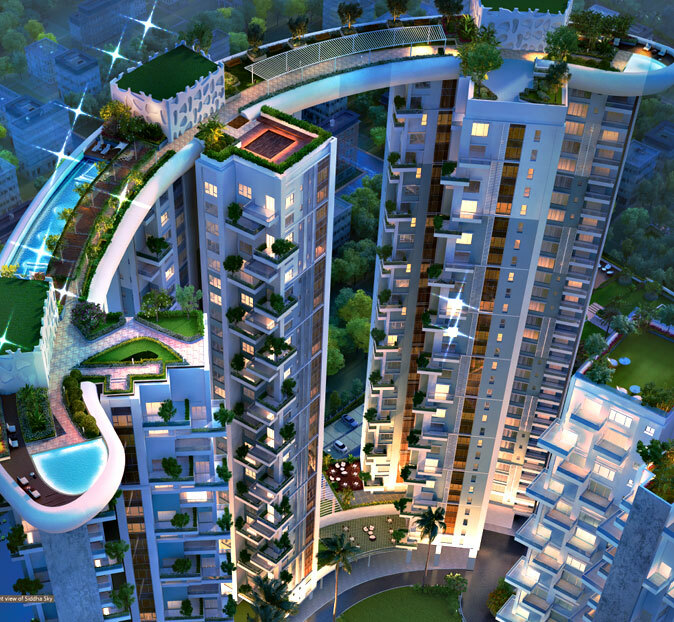 Even in Kolkata, some of the major real estate companies have come up with a number of such residential properties. These usually have an all-in-one construction where the residents can enjoy a number of amenities inside the township itself. For example clubhouse, movie theatre, salon and spa, and much more are available inside the township itself. So, if you wish to buy flats near EM bypass, take help from the internet to find the one which is most suitable for you. Today, the real estate companies have introduced a number housing options for the buyers and there is essentially no dearth of options. So, if you have been thinking about buying a home of late and making plans for the past couple of months, choose one from the above-mentioned ones. All the best!